I was talking with a colleague earlier today. A few days ago the requirements for a short project specified a service / application that would monitor an input folder (e.g., c:\temp\DocFolder) for *.doc (Word) files and generate in an output folder (e.g., c:\temp\PDFFolder) a *.pdf (Portable Document Format) version of the files. The application / server was implemented and tested. As usual, requirements tend to change. Yesterday they did. The issue is that clients running on the same machine need to generate a copy of the *.doc files and copy them to the input folder. Of course clients may generate the copy directly in the input folder eliminating the need for the copy operation. 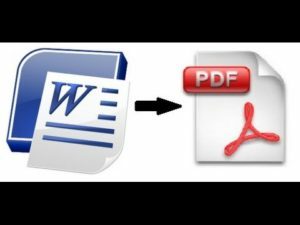 Instead of modifying the application / service that converts the files, the client could easily (as shown in this blog) could generate a link to an input *.doc file and copy the link to the input folder. 10/14/2016 04:03 PM <DIR> . 10/14/2016 04:03 PM <DIR> .. The code takes the original foo.doc file and generates a bar.doc symbolic link to be processed by the application / server that converts *.doc files to *.pdf. 10/14/2016 04:12 PM <DIR> . 10/14/2016 04:12 PM <DIR> ..
As you can see, the client application / server could easily change a few lines and address the new requirement. If you have comments or questions on this blog entry, please do not hesitate and send me an email message.